This post describes comparison between the new customized Dell Inspiron 14R Laptop, vs the Sony Vaio VPCCW26FG CW Series. The Dell costing around 37k INR vs the sony vaio costing at 56K but similar configuration is interesting. 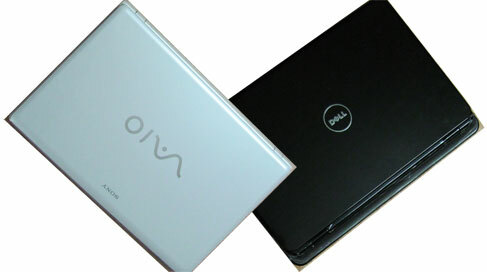 Let us see the detailed comparison between Dell Inspiron and Sony Vaio. Looks * White is the vaio, Black is the dell. Main Memory (RAM) 4 GB ( 2x2GB) Expandable upto 8 GB, DDR3, 2 Slots (SO DIMM) 3 GB (2x1GB+1GB), DDR3, (SO DIMM). Lets now see how the windows experience index rates the two laptops. So at about 20k lower than the Sony Vaio but almost similar configuration, we can see that the Dell Inspiron is value for money. I must say that I had low expectations just bought this computer. Well, this laptop is great and I love it. Its lightweight, fast, and the resolution of the screen and has a very good. Above all reliable. I, at least buy one laptop every two years and usually wihtin the range of 1500 to 2,000.00 and up to 2800.00, but I'm tired of paying so much for what is increasingly appliance. I have to say ... I'm sold on this notebook and the price. I'm never going to spend 2k on the laptop again, the era of cheap laptops left. If you are a home user and especially if you are a business user, this computer is more than enough. I played about 100 words per minute and I also likes the keyboard action. I use a lot of spreadsheet applications, accounting software, and remote access, and often work at home and the computer works fine. excellent comparison. but keep both the laptops run endless for say a week. Dell would last, and sony for sure will die. Happened to me and many folks. Sony parts come from China/Japan. Dell gets parts from around so it lasts more. I have atleast 10 years using dell, running the laptop 24x7 to the ground. You should add - reliability, to your matrix. Isn't this a exaggeration !! Isn't this a exaggeration !! he/she (not verified) must be from dell . Well , the failure rate of dell is much much higher . I don't want to go into the details . The thing is when you pay large , you get better machine , but makes sense if you need it. @OWNER of this site : you are comparing i5 (turbo boost of 2.9 Ghz) and i3 -2.4 Ghz , but still you write "almost same configuration " . Dude, its the processor which makes the difference .